Jane Ellen Raley was born in Highland Park, Illinois, on September 20, 1957. She graduated from Glenbrook South High School in Glenview, Illinois, in 1975 and then enrolled at Indiana University. While an undergraduate at IU, she spent her junior year overseas studying at London University’s Southlands College. She returned to IU to graduate in 1979 with a B.A. in Political Science. Later that fall, Raley enrolled at the Indiana University School of Law. 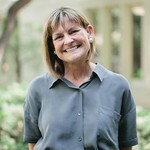 Raley received her JD from the law school in 1982. Raley’s legal career began when she joined the office of the Illinois State Appellate Defender in 1982 as an Assistant Defender. She would spend the next 30 years fighting for the falsely accused and fighting injustice. In 1990, she went to work for the Capital Resources Center training attorneys for a statewide program to provide lawyers for capital defendants in post-conviction and federal habeas corpus proceedings. In 1994, she returned to the Appellate Defender’s Office, before joining the Northwestern University School of Law, in 2000, as Co-director of the Bluhm Legal Clinic’s Center on Wrongful Convictions. "The cause of criminal justice lost one of our greatest and most compassionate warriors. Jane was an incredible lawyer, a tenacious advocate for her clients, a revered mentor of law students and young lawyers, and an exceptionally loving and caring person. All who knew her will miss her beyond measure. Many innocent men and women are free from their convictions due to Jane’s work, and many young lawyers are out doing good in the world—and understand the good that attorneys can accomplish—due to Jane’s magnificent example during her 14 years as a law professor at Northwestern University School of Law." Jane Ellen Raley was inducted into the Indiana University Maurer School of Law Academy of Law Alumni Fellows in 2018. "Jane Ellen Raley" (1957). Notable Alumni. 144.